One of the more advanced technologies available is live speech mapping, a method of fitting hearing aids using speech as a stimulus to help the specialist adjust hearing aids to the right settings for each wearer. Live speech mapping makes fitting appointments more interactive and can reduce the number of office visits required for successful hearing aid programming. 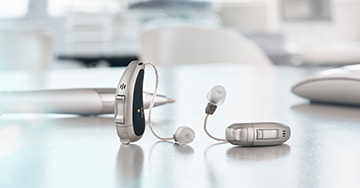 Live speech mapping is a hearing aid verification method that is used to ensure that your hearing aids are programmed for your individual needs. With this method, small microphones placed in the ear canal are used to measure the response of the hearing aid in your ear taking into account the natural and individual characteristics of both your ear and your hearing loss. For your live speech mapping appointment, you will be asked to bring along a family member or close friend to act as the “gauge” in your ability to hear live voices. Live speech mapping is known for its accuracy. 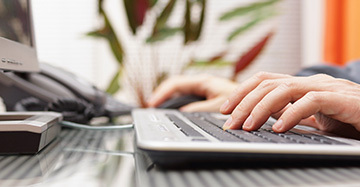 Without speech mapping verification, other methods to program your hearing aid may require additional adjustments. Live speech mapping increases the chances that your hearing aid programming will be done correctly on the first try. Live speech mapping also creates a much more positive fitting experience by allowing both you and your family to see the immediate results of your hearing aids and their positive impact on your ability to hear. Both you and your family will be engaged in the fitting process, making it a joint affair. If you have a hearing loss, you may not be able to fully understand what you can and cannot hear, and therefore, you may not understand everything you are missing. With speech mapping, you will have the ability to hear the improvements immediately, and you will be shown exactly what you can and cannot hear in real-time. Contact your hearing health professional to find out how live speech mapping can provide you with a more enjoyable hearing aid mapping experience.